South Florida Motor Vehicle Accident Attorneys | Gonzalez & Cartwright, P.A. The roadways in South Florida can be congested and fast-paced, making conditions ripe for all types of motor vehicle accidents. If you have been involved in a motor vehicle accident, it can be difficult to know where to turn or how to obtain compensation for any injuries you have sustained, or for damage to your vehicle, especially when it seems like the insurance company’s adjusters do not even know that you exist or speak your language. After you have been injured in an auto accident, you need a South Florida personal injury attorney who you can trust to advocate on your behalf and to ensure that you receive the compensation to which you are entitled. At Gonzalez & Cartwright, P.A., we don’t just promise results and then disappear. We follow through by exploring every potential avenue to win the compensation that is justly yours. We understand how frustrating and difficult it can be to feel invisible in the eyes of the legal system. That is why we put our 35 combined years of legal experience to work for each and every one of our clients. We promise personal attention from the actual attorneys who are handling your auto accident case, so we provide all of our clients with our personal cell phone numbers in case of emergency—and we actually respond to our clients’ calls. Our office is fully bilingual, and unlike other law firms, this means that every individual in our office speaks fluent Spanish. In fact, one of the partners in our law firm is Hispanic. We have been nationally recognized by the Martindale-Hubbell Lawyer Rating Service as an AV-rated law firm, which is the highest possible rating a law firm can achieve. 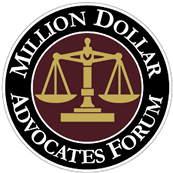 We have also been recognized by Super Lawyers, Top Latino Lawyers, and the Million Dollar Advocates Forum. Beyond all of these accolades, we believe the best recognition we can receive is from satisfied clients who have finally received the full and fair compensation they deserve. Regardless of the information provided by the insurance company, if a third party’s negligent or reckless actions contributed to the motor vehicle accident that caused your injuries or property damage, you may be entitled to recover compensation from that negligent or reckless party. In some cases, we obtain compensation for our clients by resorting to a full-blown personal injury trial, but in many cases, the process is much more streamlined. We put our skills to work to negotiate behind the scenes with the insurance companies and the attorneys representing the other parties, and we can often help our clients reach a fair settlement without the trauma and cost of a lengthy trial. Rehabilitation or physical therapy expenses. Expenses related to in-home care or modifications made necessary by injuries. Damages to the vehicle itself. If you have been injured in a motor vehicle accident and believe that a third party’s actions caused the accident, contact our offices today for help. At Gonzalez & Cartwright, P.A., we are not just another law firm. We are a part of the local community itself, and we strive to make a difference both in defending citizens’ rights in the legal sense and in protecting the integrity of the community as a whole. 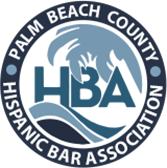 Attorney Adriana Gonzalez herself is active in the Hispanic Education Coalition and the Democratic Hispanic Caucus, and she also participates in grassroots efforts to keep the streets of east Lake Worth clean. Our dedication to the community extends far beyond protecting your rights in the courtroom, and that commitment shines through in the legal services that we provide our clients. If you or a loved one has sustained injuries in a motor vehicle accident, contact our offices at 561-533-0345 or toll-free at 888-888-3903 to schedule a free consultation today to discuss your legal rights following the accident. We have our main office located at 813 Lucerne Ave, Lake Worth, FL 33460, as well as an office in Pompano Beach, Florida. During this initial consultation, we will provide our honest and straightforward opinions as to how to best proceed with your case. We are able to offer flexible appointments on evenings and weekends for your convenience. You can also fill out this online form, and we will contact you directly. FAQ: How much compensation am I entitled to receive after a motor vehicle accident? The level of compensation available depends upon a number of factors, including your insurance coverage, the severity of your injuries, and the factors that contributed to the accident itself. If another party’s negligence caused the auto accident, we may be able to pursue a claim against that person’s insurance company. At Gonzalez & Cartwright, P.A., we evaluate each and every case to determine every type of compensation that may be available to the particular client. FAQ: Where does Gonzalez & Cartwright, P.A. handle car accident cases? FAQ: The insurance company offered a settlement in my auto accident claim. Should I take it? Insurance companies are motivated to offer the smallest possible settlements in order to make your case disappear. If you feel that the settlement offer does not fairly compensate you for your injuries and property damage, consult an experienced motor vehicle accident attorney at Gonzalez & Cartwright, P.A. to determine whether you are entitled to receive more. The initial consultation is free, so you have nothing to lose.